Many thanks for your response to my letter about Sussex Police, and please accept my apologies for not replying sooner. Partly this is down to time constraints, but to be completely honest with you it’s also partly down to the perceived futility of the exercise. I appreciate you taking the time to respond, but I think it’s also fair to say that it was a pretty unspecific, stock response, and unless you have an appetite to properly address the issues then I’m not sure either of us are spending our time wisely. “has removed targets and the associated performance pressures they bring. There is now an emphasis on strengthening police officer discretion to focus activity around local priorities which differ by district and division. This approach empowers local District Commanders and staff with greater discretion to exercise their professional judgement to ensure that offenders are dealt with effectively, safe in the knowledge that no one outcome is favoured over others. This partially answers questions 10 and 11 – but are there some targets that you cannot remove? If so, what are they? Are there targets for conviction rates? 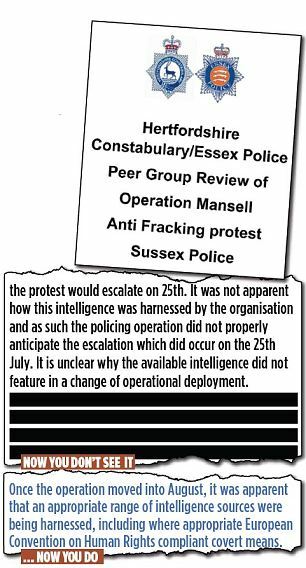 If so, this would explain why it was so important for Sussex Police to try and get a conviction. I am sure you will agree that urgent action is needed to restore public confidence in Sussex Police. Please answer the specific questions I have raised, or pass them to the Chief Constable for him to reply. It is clear that what is needed is some soul-searching and frank communication and I’d be very grateful if that process could start here.